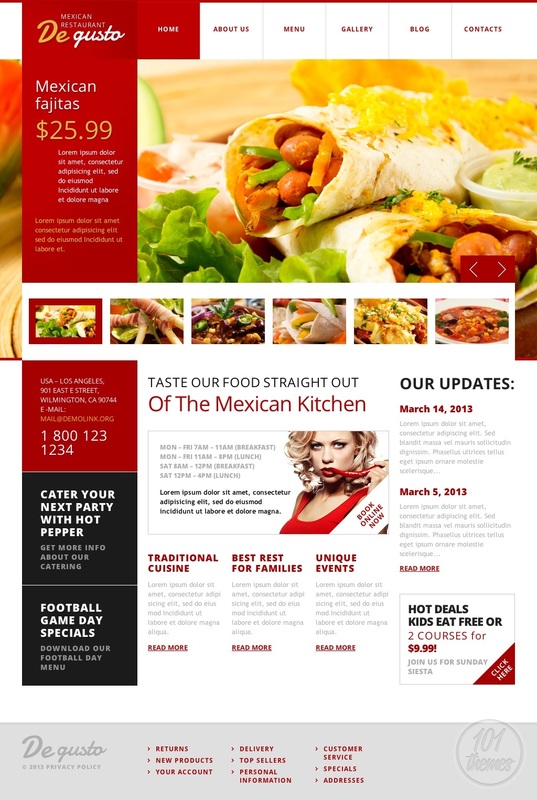 De Gusto is an attractive Mexican restaurant theme for WordPress developed by Glenn and featured at Template Monster. Aside from looking amazing, it also features many great options. This is a very compact and modern theme. The colors prevailing are hot red and white, making a perfect combination for a Mexican restaurant. There is a huge slider at the very top of the homepage, a great place for showcasing delicious photos of your food. You can feature a whole bunch of content on the homepage and point your reader’s attention to the most important posts and updates. Each page has a custom template and all of them look great and most importantly, everything is 100% functional. Advanced theme options give you a lot of customization possibilities, and you will be able to run and edit the website all by yourself. The “about us” section lets you present testimonials from your satisfied customers, and you can also tell your visitors all about the history of your restaurant, introduce them to your staff, etc. 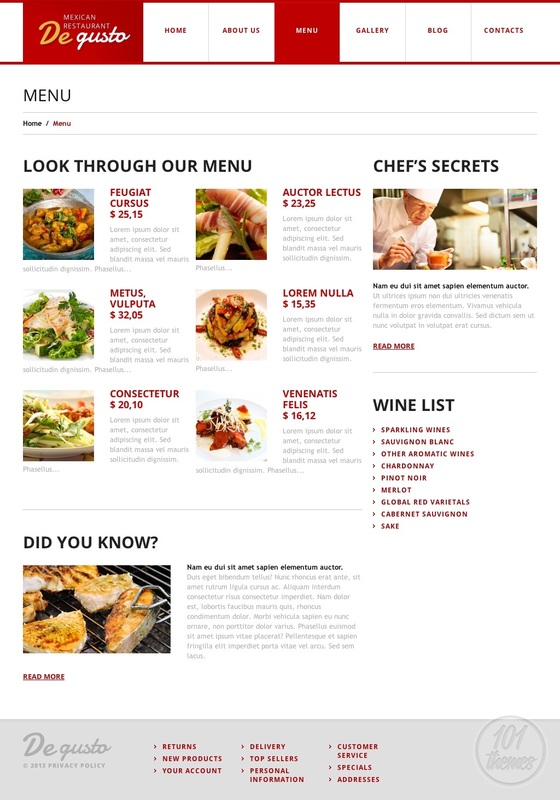 The menu looks amazing, with the possibility of adding photos and detailed info about each item, and you can also post some interesting tips from your chef or present their specials here. A wine list can be created and nicely categorized. 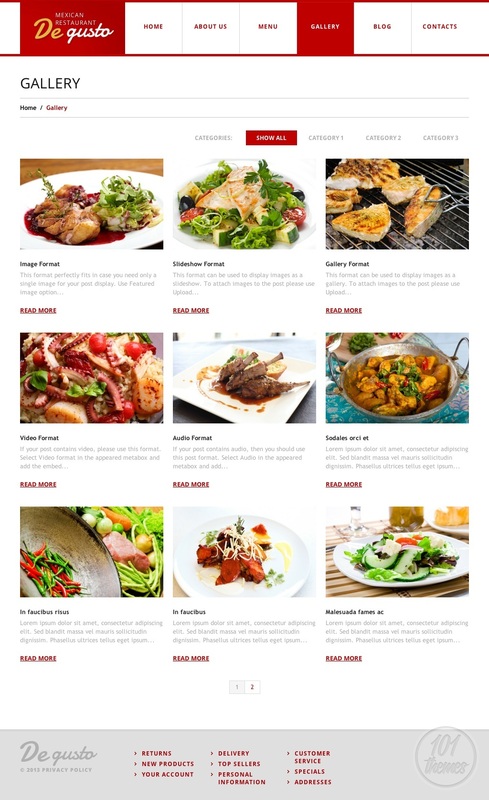 The gallery lets you post many quality photos of your dishes and you can create a gallery in a slideshow format, gallery format or image format. A blog section is also included and this is where you can post as much as you want and bring your visitors even closer to your restaurant. 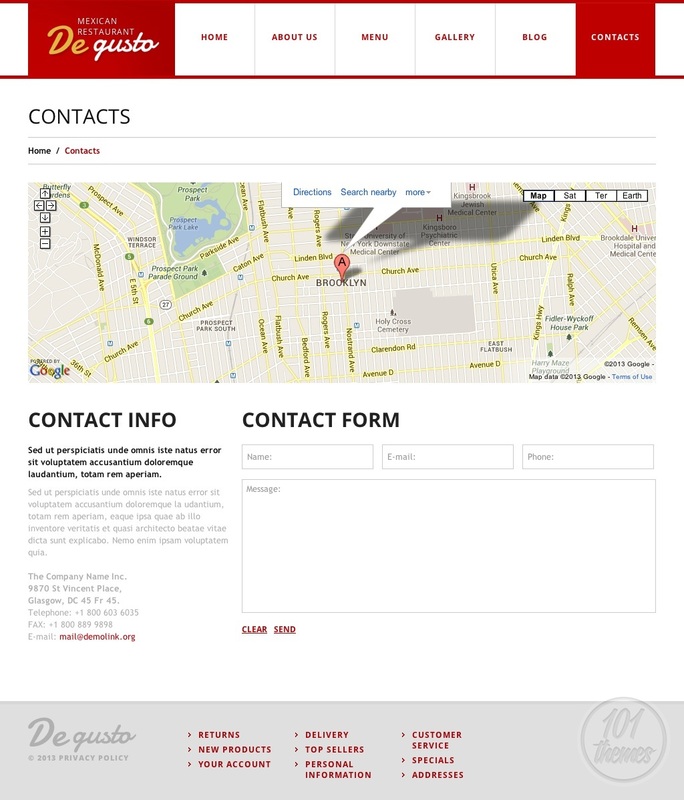 A contact page is featured, and it is fully organized as such, with a nice contact form included, a place for detailed contact info and Google Maps integration which places a map with your restaurant’s location marked on it so everyone can easily find your restaurant. 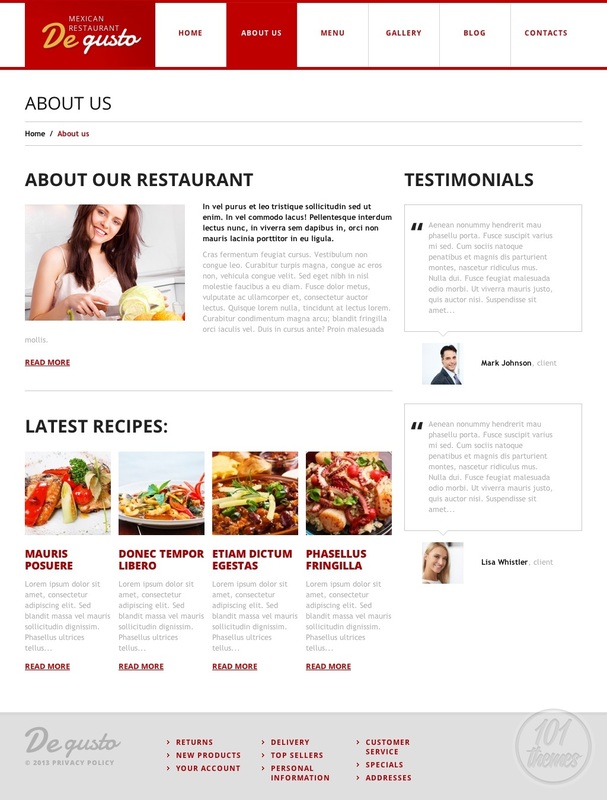 De Gusto is a responsive Mexican restaurant WordPress theme and it comes with tablet and 2 smartphone layouts included so you can be sure your website is going to look lovely on any device.